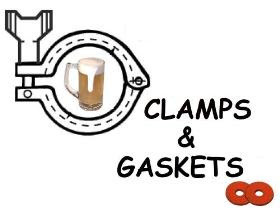 Clamps & Gaskets: News Roundup for Weeks 10/11/12, 2011. Fritz Maytag (founder of Anchor Brewing) and Ken Grossman (co-founder of Sierra Nevada Brewery) reminisce for the keynote speech at the 2011 Craft Brewers Conference. The Washington City Paper selects the Washington, D.C. area's best new beer bar, for 2011: Mad Fox Brewing. Forever velvet. Hollywood legend Elizabeth Taylor has died. For over 50 years, when it was the Brickskeller, it had no draft lines in the main bar downstairs. Now, the Bier Baron does. 'Craft' breweries sales volume increases 11% in 2010. Bud break is underway in California vineyards. It's Virginia Wine Week, 18-27 March. "Beer making is a marvel of industrial chemistry," says Popular Science Magazine ... in an issue published in 1933! Via Brookston Beer Bulletin. Happy Spring Equinox ... Sunday, 20 March 2011 7:21 PM EDT. After 55 years, how Washington, D.C. got her beer back. The so-called Super Full Moon will appear at sunset tonight. 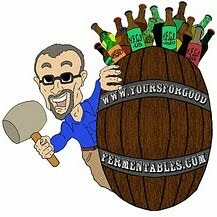 Today's Birthday in Beer: Steve Hamburg, one of the premier 'real ale' cellarmasters in the US. Imbibe Magazine names Virginia's Blue Mountain Brewery as one of "100 Best Places to Drink in the South". Orange slice in your beer? Just say no, says blogger 3 Baking Sheets to the Wind. For first time since the 'scandal' of the 2003 Brunello vintage, the US gives approval for importation of Brunello, the 2006 vintage. In the aftermath of the Japanese earthquake & tsunami: 7 simple ways to help. Japan’s breweries face uncertain future after disaster. A tale of two châteaux. The wine growing pains of China and Bordeaux growing pains. Daylight Saving time begins overnight in the US, but not in Arizona. The problems with beer blogging, and examples of how to do it better. Via beer writer Andy Crouch. 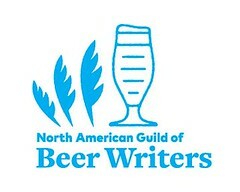 According to eCairn, 5 of the most influential alcohol websites in USA are blogs about craft beer. VeggieDag Thursday: A new logo and a 20th anniversary. The Washington Post's annual Beer Madness bracket-style competition with 64 US beers grouped by Malt, Roast, Fruit/Spice, and Hops. Too much meat + too much sugar + too much (unfiltered) beer = gout. Captain Kirk delivers the wakeup call for the final mission of the Space Shuttle Discovery. Among all the recent good news for Virginia beer, there is some sad news. Via Relentless Thirst: Shooting Creek Brewery closing.